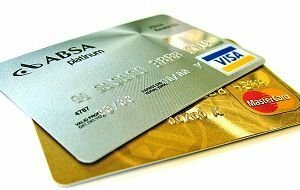 Home » Debt Reduction and Management » Should You Pay Your Student Loan with a Credit Card? Short Answer: Unless you can transfer your balance to a 0% APR card and pay it off before the introductory rate expires, it doesn’t make sense to pay your student loan with your credit card. Using a credit card to consolidate your student loans and repay them can be tempting — especially if you decide to use a 0% APR credit card to make your move. But you need to be careful if you go this route. You should also realize that there are some pitfalls to paying off your student loan with a credit card. If you can get some (or all) of your student loan balance onto a 0% APR credit card, you can save in the long run. Even though the interest rates on federal student loans are relatively low, nothing beats a 0% APR. If you can make it work, this can be a way to pay off your student loan debt without paying any interest at all. However, you have to be careful. Many 0% APR cards have introductory rates. Once that rate ends, you could end up paying a higher interest rate, and undoing a lot of your good work. If you decide to pay your student loan with a credit card, make sure you have a plan to pay off the balance before the intro period expires. At least be sure you can make solid progress while you don’t have to worry about interest charges slowing you down. One of the issues with defaulting on student loans is that it can make you ineligible for certain government jobs and benefits. If you want to preserve your access to some of these programs, you need to pay off your student loans. Paying with a credit card can seem like a quick way to solve the problem. Hardship Forbearance: Instead of paying with a credit card when you are at risk of defaulting on your student loan, contact the lender and apply for forbearance. This can be especially effective if you have a federal student loan. You won’t get this type of forbearance with the credit card company should you be unable to pay. Lower Interest Rate: Federal student loan rates are relatively low when compared with other loan rates. If you transfer to a credit card, you could end up paying much higher interest, leading you to pay more in the long run, and slowing your efforts to reduce your debt. Tax Deduction: In some cases, student loan interest is tax deductible. You won’t get that deduction once you pay off the loan with your credit card. Transfer Fee: Many 0% APR credit card charges a balance transfer fee. This could easily wipe out any advantage you would gain from paying no interest. In many cases, transferring your student loan to a credit card reduces your ability to take advantage of some of the benefits that come with federal student loans. Unless you can transfer your balance to a 0% APR card and pay it off, it doesn’t make sense to pay your student loan with your credit card. The only way it makes sense is if you decide to employ the ethically dubious strategy of transferring your student loans to your credit card with the intention of defaulting on those payments. This shields you from the consequences of defaulting on a student loan, but still allows you to try to avoid paying the amount by walking away from it once it’s on your unsecured credit card. What do you think? Would you pay your student loan with a credit card? You can’t directly pay federal student loans with a credit card UNLESS you are in default. There are ways around this but pretty pointless as the services that do facilitate the transaction with charge their own premium, thus negating the 0% apr credit card. If there is a bank out there That allows this please tell me!